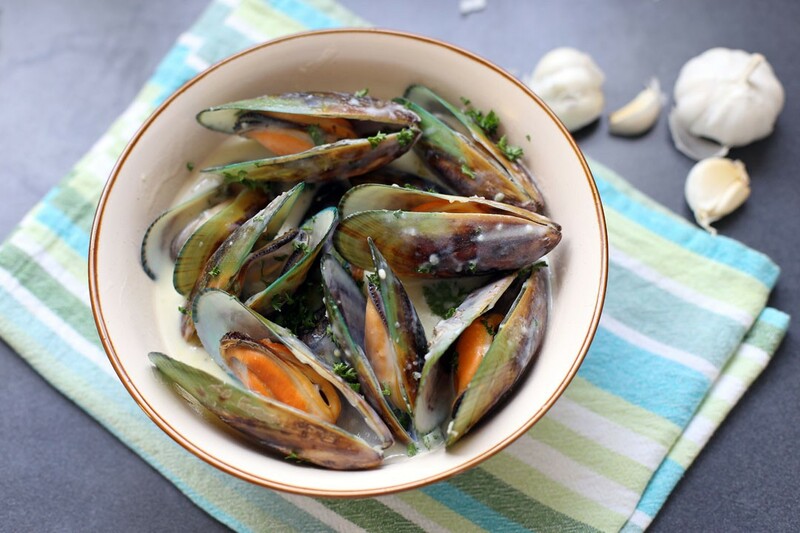 In a pot add white wine and mussels, cook under medium low heat for 7-8 minutes or until mussels are cooked. Place mussels in a serving bowl, reserve the liquid. In a large pan add butter then sauté garlic, once light brown (not toasted) add the flour, cook for 30 seconds. Pour in reserved liquid, milk and cream, add the chopped parsley then bring to a boil. Simmer in low heat for 4-5 minutes. If the sauce is too thick to your liking thin it with water. Season with sea salt and freshly ground black pepper then pour over cooked mussels then serve.